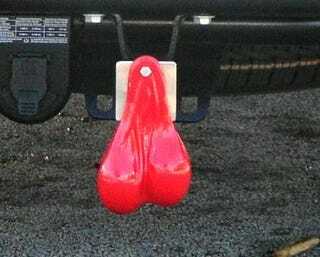 On Tuesday, we told you that a State Delegate in Virginia was making plans to ban truck nuts. Now, details have emerged. Lionel Spruill introduced the bill on Tuesday under the pretext of safety, claiming that replicas of genitalia could distract drivers, causing accidents. He would like to see the display of truck nuts made a misdemeanor, punishable with a $250 fine. Spruill decided to pursue the ban after a constituent complained about his young daughter seeing them. According to the Associated Press, Spruill said, "Sir, I'm going to be a laughingstock, but I'm going to do it."